David Packwood is an art historian with interests in renaissance and baroque art- although he does occasionally teach modern art. After a career in the Civil Service, he left to study a variety of humanities subjects at university as a mature student. Settling on a career as an art historian, he became a PhD student at the Barber Institute of Fine Arts, where his subject was ‘Theological and Philosophical Themes in Nicolas Poussin’. He gained his doctorate in 2005. 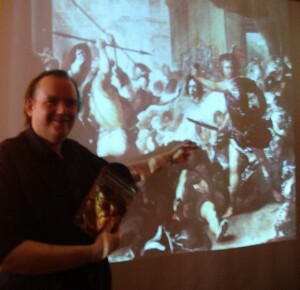 In addition to his association with WLS, David teaches art history for Warwick University. He has also taught for the universities of Birmingham, Northampton, Coventry, and Keele, East Warwickshire College and the Open University. He maintains a web log that has lots of useful links –Art History Today. Facing the World: The Portrait and Art History. This course runs in Solihull, (Methodist Church, starts 16th April); Stratford-Upon Avon (Friends Meeting House, Maidenhead Rd, starts 10th April); and Leamington (Oddfellows Hall, starts 11th April). Cost is £80 for ten weeks. N. B. The Stratford and Leamington courses have just started, but latecomers are still welcome. The painted portrait can be described as the combination of the life of an individual and the attempt to create a likeness of that in dividual in artistic form. But the genre of portraiture is more complex than that definition, since over time portraiture has merged with other genres of painting such as religious altarpieces, landscape painting, allegorical and mythological images, history painting, and in the era of modern art, abstract art. The aim of this course is not only to introduce the main ideas behind the genre of portraiture; but to look at the neglected topic in art history of how the portrait overlaps with other forms of painting such as the ones mentioned above. For example, there are portraits hidden away inside religious altarpieces such as Botticelli’s Adoration of the Magi, or self-portraits within Caravaggio’s paintings; and of course the many faces of Christ are a kind of mixture of icon and portrait. As it evolved, the genre of the portrait extended its boundaries, crossing over into landscape art as in the case of the Ditchley Portrait of Elizabeth I (above) or mythological art such as real people appearing in subjects like the Judgement of Paris. 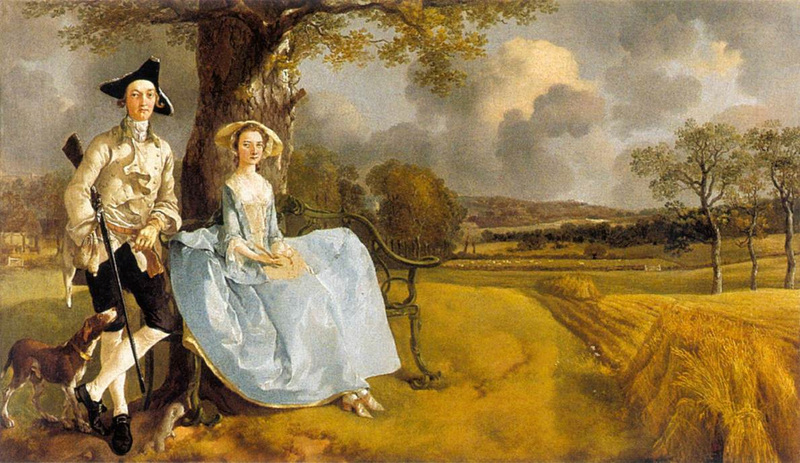 And a few centuries later Gainsborough’s famous Mr and Mrs Andrews (below) provides us with a double portrait set within an expansive landscape. Then there is the merging of the conventional portrait with images of still life, animals, and natural objects as in the art of renaissance artists like Dürer and the modern Surrealists, and especially the famous vegetable portraits by the baroque artist Arcimboldo of his patron Rudolf II. It is believed that portraits went into decline with the invention of photography in the 19th century, but its greatest challenge was modern art when the art of painters like Cézanne, Picasso and Braque (and their followers) demonstrated that it was no longer possible to show the identi ty of an individual by preserving and fixing what he or she looked like from a single point in space. By the end of the course, and after looking at portraits and art of other genres, you will realise that portraits exist within many histories of art, not simply one, and that portraiture is a more complex form of painting that cannot be simply defined as a representation of a person in a physical space. 1. The Image and the Individual: A Brief History of Portraiture in the History of Art. 2. On and Beneath the Surface: Portrayal, Likeness and Portraits. 3. The Many Faces of Christ, the Portrait and Religious Art. 4. The Brush in Nature: Portraits, Still Life and Animal Painting. 6. The Face of Narcissus: The Portrait and the Self-Portrait. 7. Biographical Depictions: Life Portraits, Allegory and the Dynastic Image. 8. Heroic Portrayals: The Portrait and the History Painting. 9. The Portrait, Photography and New Challenges in the 19th Century. 10. No More Portraits: The Battle between the Portrait and Abstract Art. (Reading matter on specific works will be shown on the handouts; the following is a small selection of books relating to the museums visited on the course). Michele Bacci, The Many Faces of Christ: portraying the Holy in the East and West, 300 to 1300, (Reaktion Books, 2014). Julian Bell, What is Painting? Representation and Modern Art, (Thames and Hudson, 1999). Hans Belting, Likeness and Presence : a history of the image before the era of art, translated by Edmund Jephcott, (University of Chicago Press), 1996. John Berger, Ways of Seeing, (Penguin, 2008). John Berger, “No More Portraits” in Landscapes: John Berger, Writings on Art, (New York, Verso, 2016). Andreas Beyer, Portraits: a History, Harry N. Abrams, 2003). Richard Brilliant, Portraiture, (Reaktion Books, 1991). Lorne Campbell, Renaissance Portraits: European portrait-painting in the 14th, 15th, and 16th centuries (Yale University Press, 1990). Dario Gamboni, Potential Images: Ambiguity and Indeterminacy in Modern Art (Reaktion, 2002). James Hall, The Self-Portrait: a Cultural History, (Thames and Hudson, 2015). Heather McPherson, The Modern Portrait in Nineteenth-Century France, (Cambridge University Press, 2001). Nicholas Mann and Luke Syson, The Image of the Individual: Portraits in the Renaissance (British Museum, 1998). 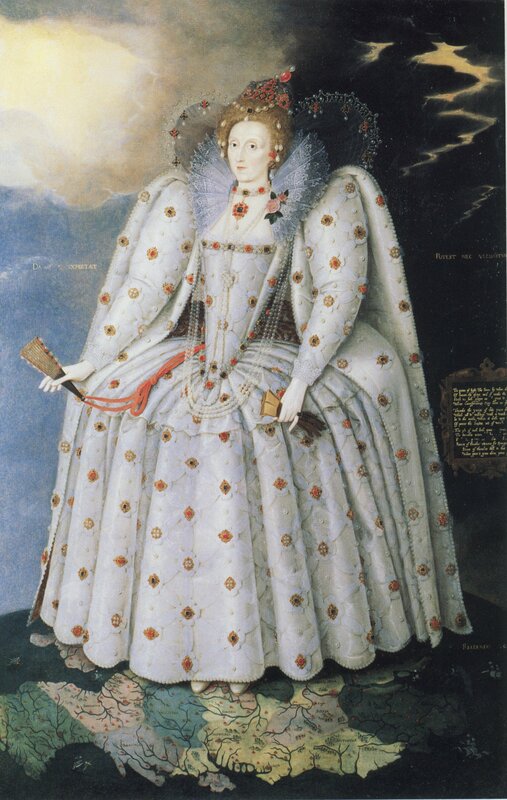 Roy Strong, Gloriana: the portraits of Queen Elizabeth I, (Thames and Hudson, 1987). Edgar Wind, Hume and the Heroic Portrait, (Clarendon Press, 1986). I have done one of your Art History courses at WArwick. Please could you tell me the cost of attending the mini 10 week course on Tuscany? Hi David I have been trying to contact you by email. Please can you get in touch with me or send me your correct email address I think I may have the wrong email. Thank you.